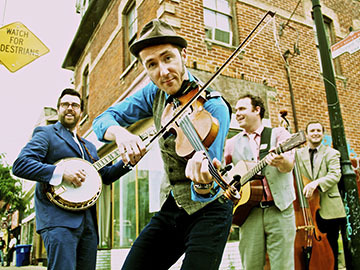 Both live and on record, Gordie MacKeeman and His Rhythm Boys serve up a neat balance of traditional tunes and well-crafted group originals, in both instrumental and vocal styles. “For the traditional tunes, I try to find ones that are a little more obscure, though it’s nice to have a few that are very recognizable as well,” says Gordie. A fine example of that on Laugh, Dance & Sing is the lovely cover of Gene MacLellan’s “Song To A Young Seagull,” a comparatively little-known composition by the East Coast songwriting great. Can't wait for MerleFest April 26th!